Fun e-Textile oriented guide and additional projects to get you started in the fun world of sewable electronics. The guide outlines each concept with a simple project that students can complete to learn the concept. 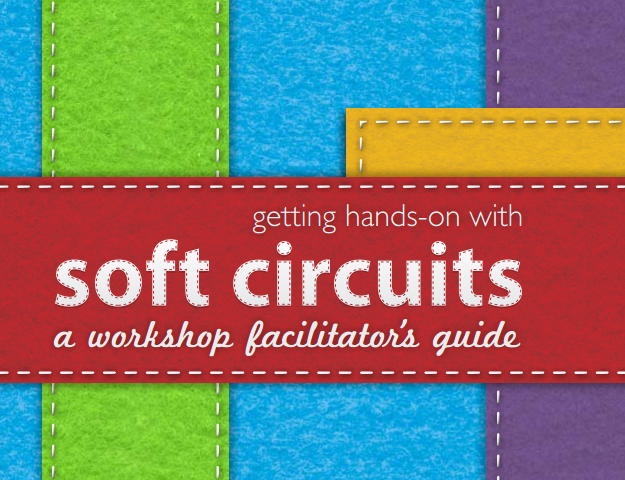 The Soft Circuits guide is the perfect place for beginners to learn the basics of e-textiles. The Soft Circuits guide was written by Emily Lovell at the High - Low Tech research group at M.I.T. Media Labs. The Plush Monsters were developed by Emily Lovell, Jie Qi, and Natalie Freed at the High - Low Tech research and the Personal Robots groups at M.I.T. Media Labs.